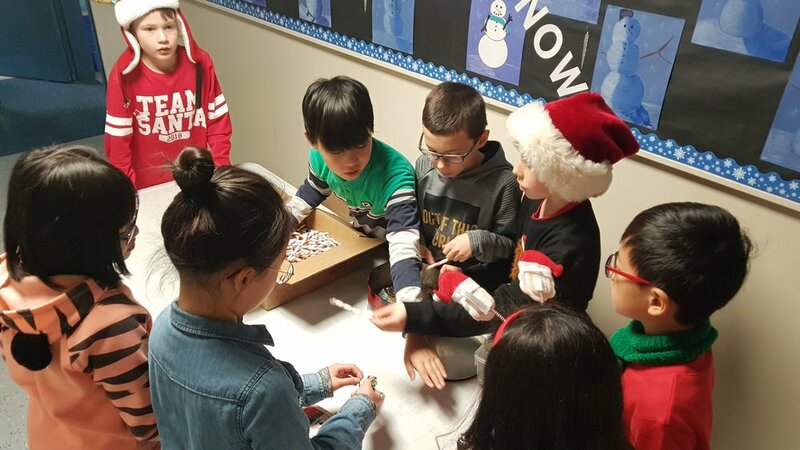 Students lined the halls for a chance to buy a candy cane for a dollar in support of students in Burkina Faso. Joshua and Christian, students in our Grade Five class, came up with this fundraising idea all on their own! Their leadership and initiative were great. Thank you to Bill, Matthew, and Gabriel for helping out! Through their efforts, the boys were able to raise over $200 to help students in need!